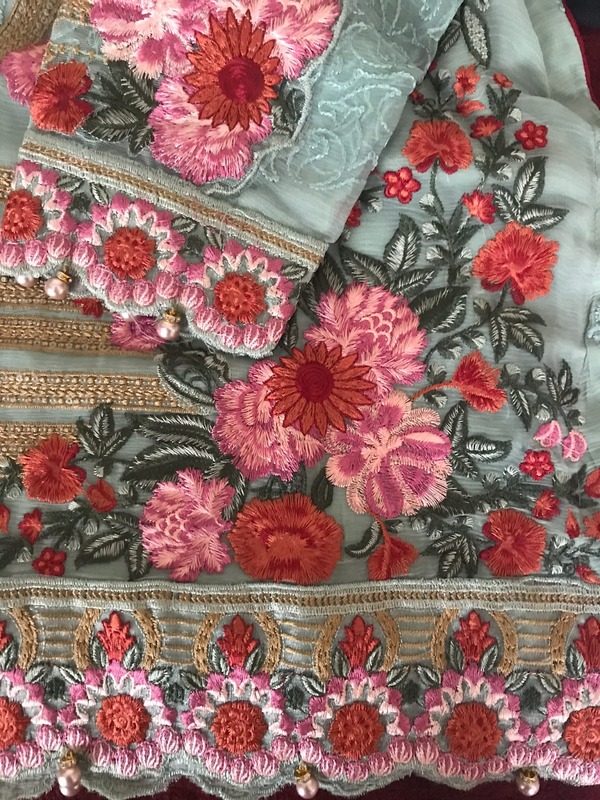 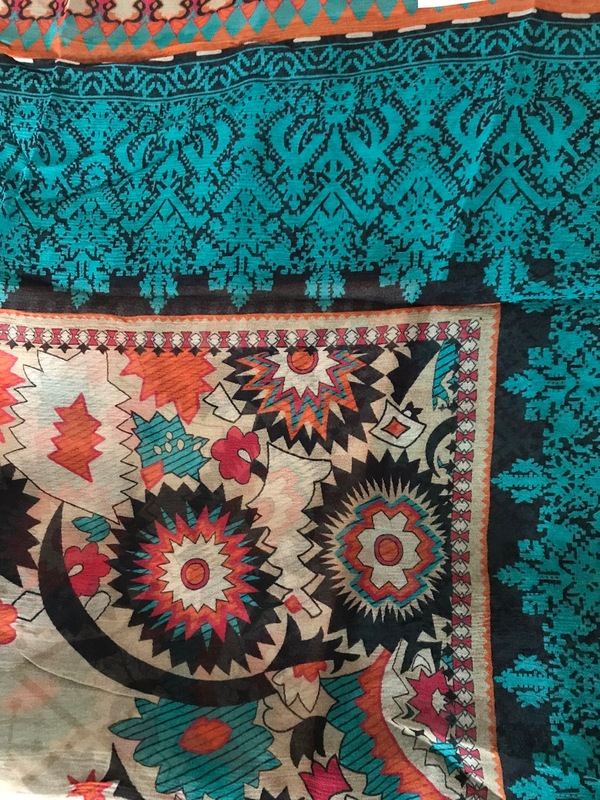 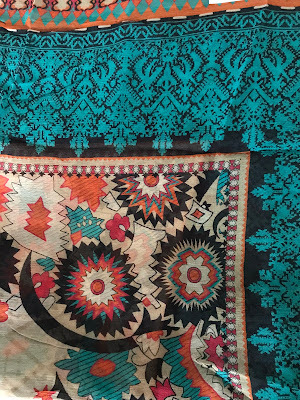 My parents came back from Pakistan at the end of last week and as always mum enjoyed finding lovely things for her girls. 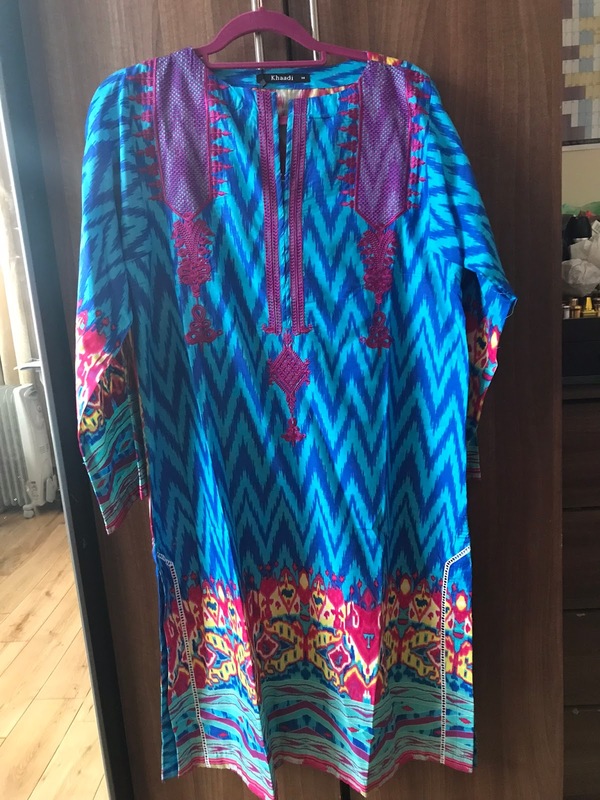 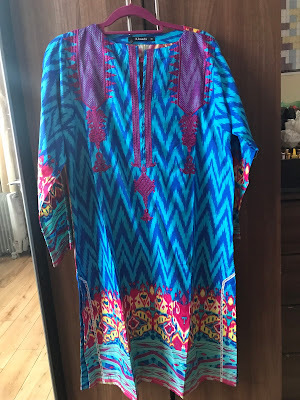 We all got a casual summer tunic top and a party dress each plus bangles, henna and some snacks. 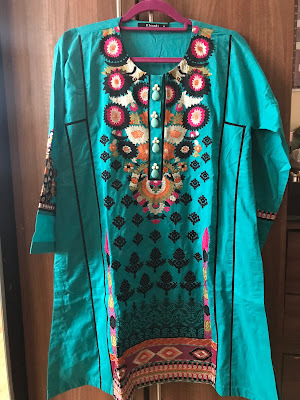 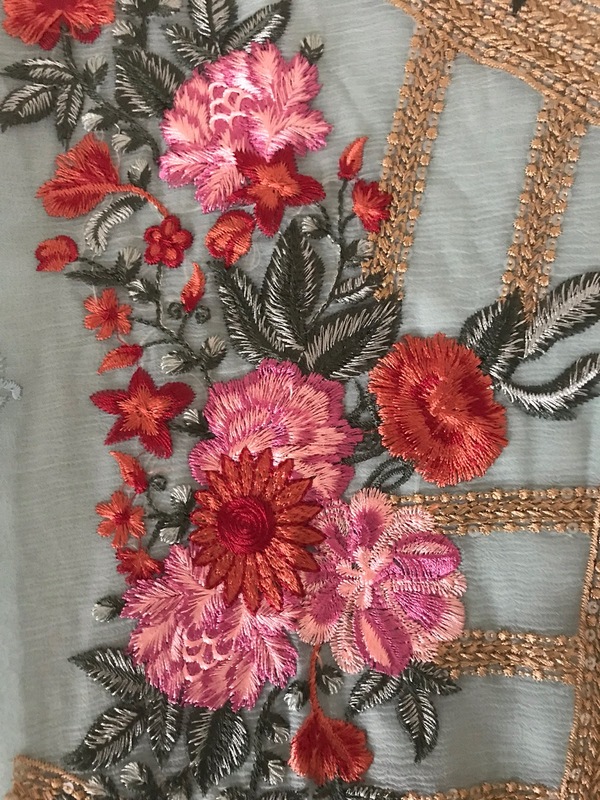 Mum has very pretty, very feminine taste and would rather spend more, buy less and bring back something we love and wear often than piles of rubbish. She bought me this top from a Khaadi – I like dark colours, so this was a nice change and I really like prints so this was perfect. 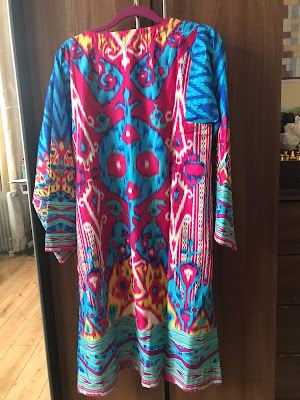 This is the design on the back, my sisters teased me about my love of all things 90’s including tie-dye, saying this was why mum chose this one for me. 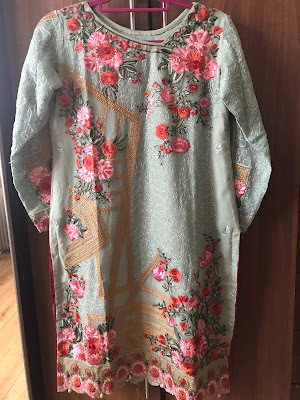 This was my party dress, pistachio green with very feminine floral design. I really, really liked it, but it’s too small! Mum asked the tailor to keep some extra fabric inside for me so that I can take it out, but not sure that will work. 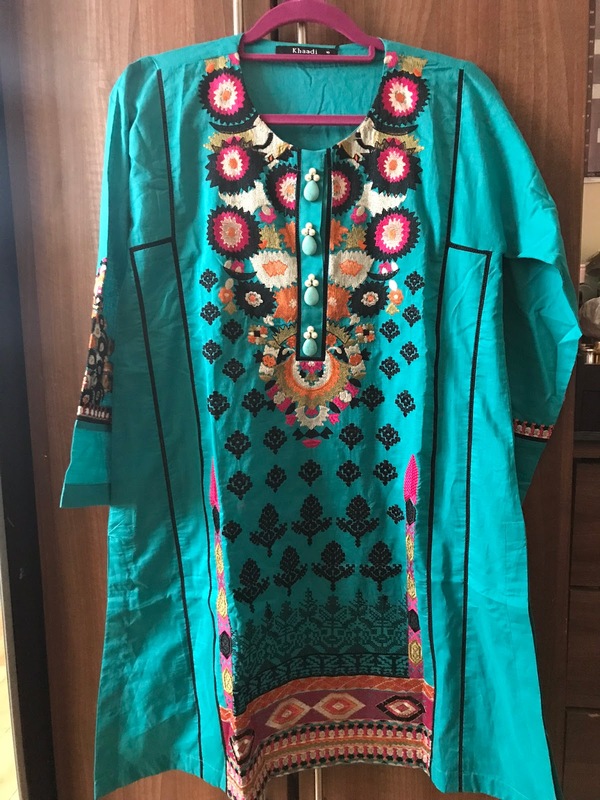 I may gift this to one of my sisters. 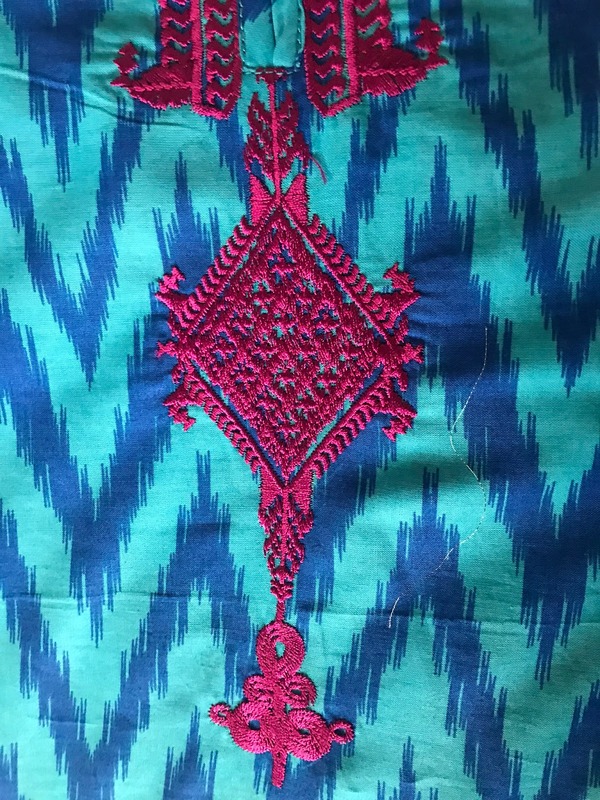 The trousers have an interesting design, I noticed that there seems to be a trend for more designs on the trousers as well as the tunic on a lot of suits. 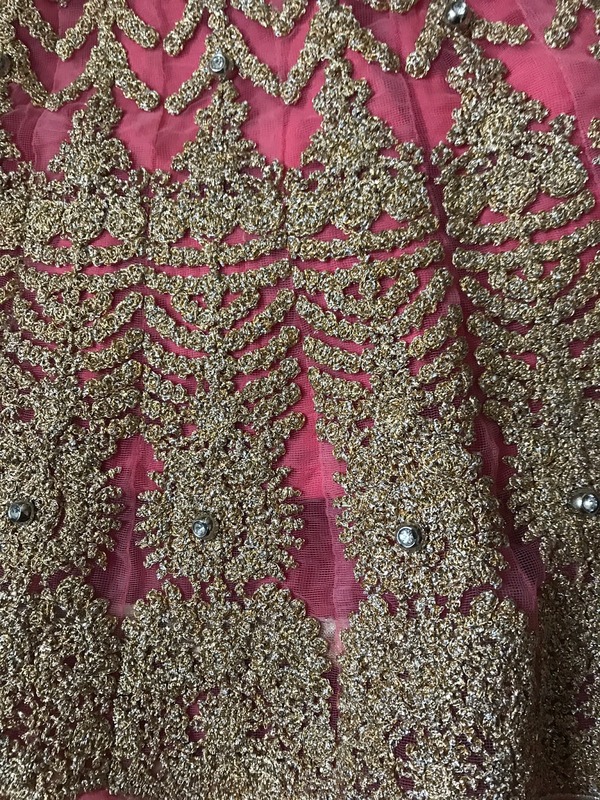 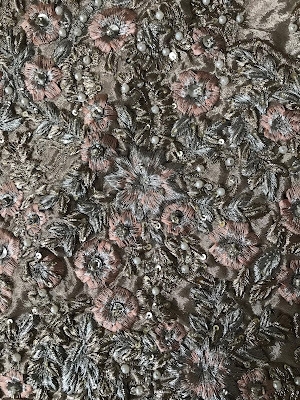 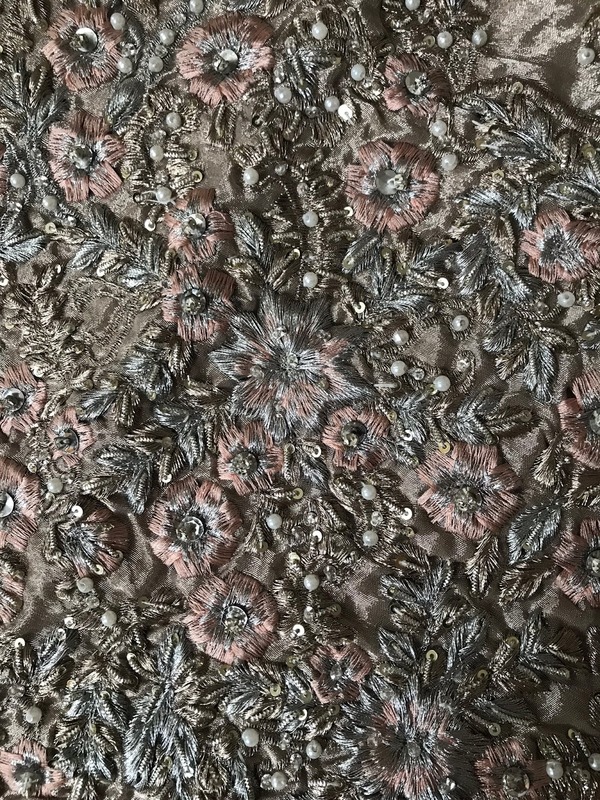 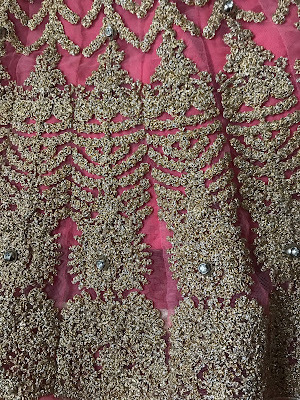 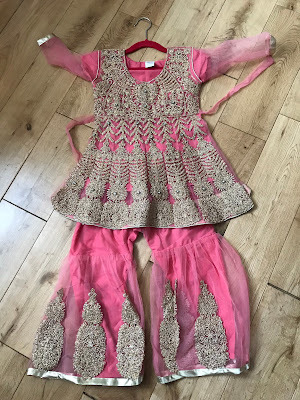 This was the party dress LL got – a pale champagne gold-pink colour heavily embroidered with beads and crystals. 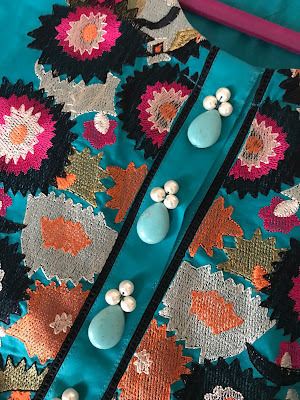 Everyone really liked this outfit and Harlequin kept teasing she had her eye on it. 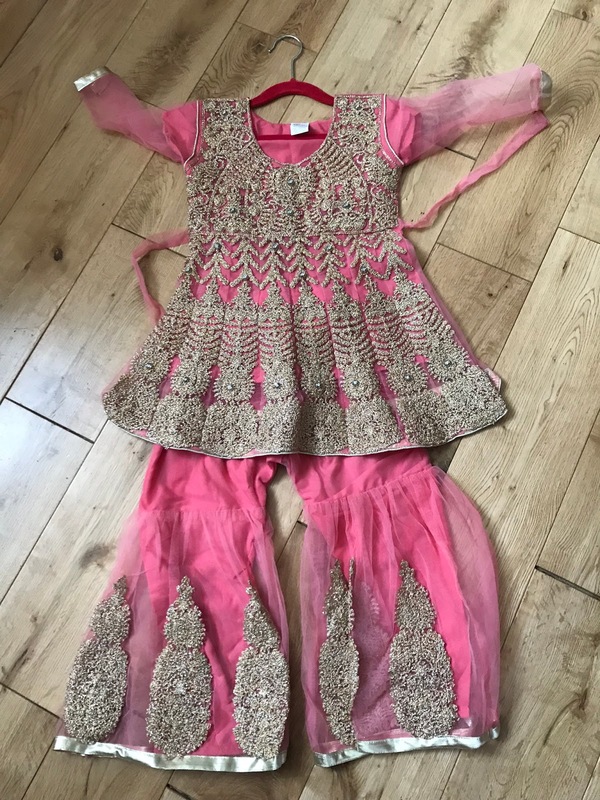 Darling and Baby both got these sharara dresses – short embroidered tunics with flared trousers. I thought they were so pretty. 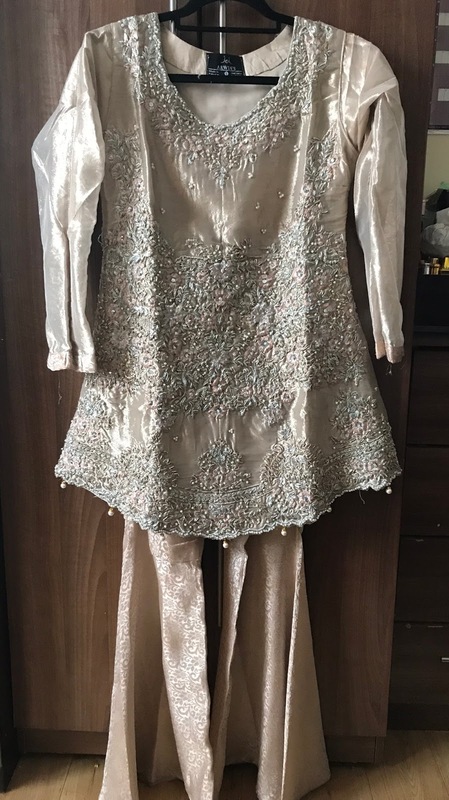 My cousins wedding is later this year insh’Allah, so I may save these for then. 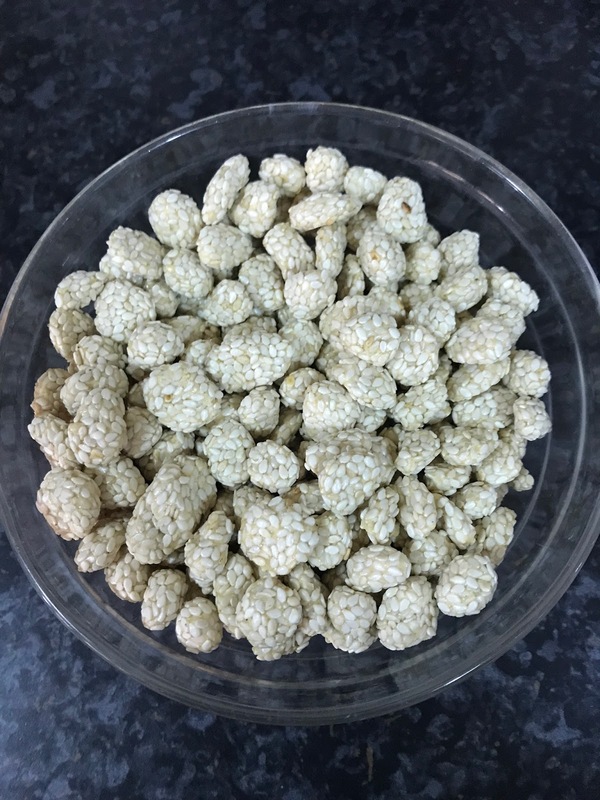 Alongside the clothes we got some traditional snacks: roast peanuts from my grandparents village, freshly roasted gram and some off these sugary revari sweets, a mixture of sugar, sesame sweets and desi clarified butter. 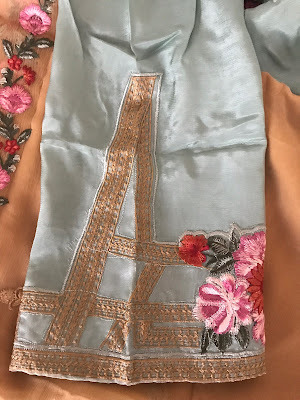 It’s really nice to have someone think of you and bring you lovely gifts. I honestly wouldn’t mind if they were not expensive or a lot, but it’s really nice to be thought of.